For you older folks, remember the popular Route 66 television show in the 1960s. Routes US66A were alternate routes around or through cities. 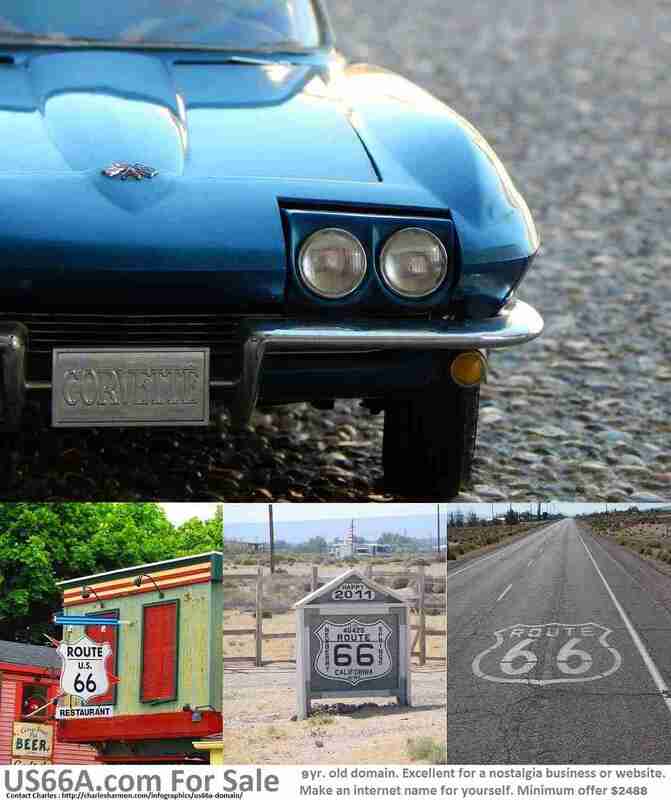 If you want to be an affiliate and promote nostalgia products route US66A.com could be the website for getting the word out about your particular interest in nostalgia or old things. It is very difficult to find a short, relevant .com domain name, but route US66A.com is a really good one for the right business or person. For a limited time I will buy for you a niche site course with your domain purchase of one of my domain names from me or my registrar, Fabulous.com. It will walk you through step-by-step in creating a very profitable niche blog. What’s a blog? Here are three of mine. Travel Quiz Weekly, Bestow Good Luck, and a new blog I’m starting, Yolky. Domain name purchase must be $1600 or more. Contact me if interested in buying route US66A.com or make an offer with my registrar.